It should go without saying, but maintaining great oral hygiene is just as important when you’re undergoing our Frisco orthodontics here at Corbridge Orthodontics. In fact, it may even be a bit more important as you’ll have to put a little extra effort into your oral hygiene routine if you’re wearing braces. The reason for this is that braces have many crevices that can trap food particles and sugar, which can lead to plaque. Over time, this can cause tooth decay and gum disease. Since it’s so important to keep your mouth free of plaque, your orthodontist in Frisco, Texas and our entire team will help you out on how to keep up an effective oral hygiene routine and make sure that both your teeth and your orthodontics are in great, working shape. You should use a soft-bristle or bi-level toothbrush. If you prefer though, you can use an electric toothbrush as long as it’s on a moderate setting. Continue to floss every day, though if you’re having trouble getting into the space between the wires and your gums, you can use a floss threader. Use interdental brushes (also known as proxabrushes) to help get rid of food, bacteria, and plaque that accumulates between the wires of your braces. To help protect against cavities, take fluoride treatments. If you have any gum inflammation or discomfort, use an antiseptic rinse. When your treatment is finished and you’re in the retention phase, you should brush your retainers daily in the same way that you’d brush your own teeth. While your mouth is already filled with bacteria, consuming certain types of food will only cause that amount to grow. The most problematic foods to eat are those that are high in sugar, such as candy, cookies, and soda. Bacteria will feed off of the sugars of these foods and attach to the teeth, causing tooth decay over time. If you want to keep your mouth healthier, you should limit the sugary foods you consume and instead eat plenty of fruits, vegetables, protein, and whole grains. Remember that you’re still wearing braces though; you won’t be able to eat any hard or sticky foods as they can potentially damage your orthodontics. It’s not just vital that you continue to visit your orthodontist in Frisco, Prosper, and Little Elm, but you’ll still need to keep up with your regular dental visits every six months as well. 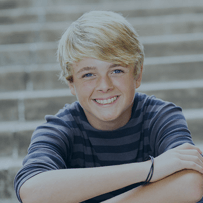 These dental visits are crucial because your dentist will be able to make sure that you don’t have any underlying dental problems and will help protect your teeth during your orthodontic treatment. This ensures that when your braces come off, you’ll have a winning smile! Contact Your Orthodontist in Prosper and Little Elm! If you have any further questions, we encourage you to contact us. We at Corbridge Orthodontics aim to help you in any way that we possibly can! If you’re interested in braces or Invisalign in Frisco, Prosper, and Little Elm, feel free to schedule an appointment with us by filling out our appointment request form. We look forward to hearing from you and helping you maintain a healthy mouth during your orthodontic treatment!